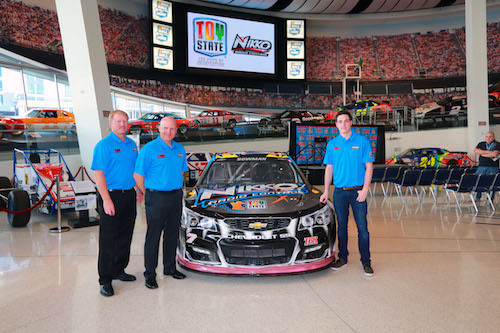 Tommy Baldwin Racing will return to Monster Energy NASCAR Cup Series competition for select races in 2019, including the season-opening Daytona 500 on Feb. 17. The team last competed in the Cup Series in 2017. Baldwin hopes to eventually return to full-time Cup Series competition. TBR began competition in the Cup Series in 2009, at times running full-time and fielding two cars. The team last competed full-time in NASCAR’s top series in 2016 with Regan Smith as the driver of his No. 7 car. Other TBR drivers have included Alex Bowman, Reed Sorenson, Michael Annett, J.J. Yeley, Dave Blaney and David Reutimann, among others. In 403 Cup Series starts, Tommy Baldwin Racing’s stats include two top-fives and four top-10 finishes. Blaney and Smith gave the team its two best finishes, to date, third-place finishes at Talladega (Ala.) Superspeedway in 2011 (Blaney) and Pocono Raceway in Long Pond, Pa., in 2016 (Smith). TBR sold its charter to Leavine Family Racing and other assets were sold to Premium Motorsports. Specific details on driver(s), sponsor, car number and manufacturer have not been revealed.